Translation Excellence is a professional translation agency based in Denver, Colorado. We provide certified translation services to companies and individuals all over the country. We work with over 135 different languages, so you can rest assured that your project, no matter the type, will be translated in an accurate and timely manner. There is no assignment too big or too small! At TE, we guarantee certified translations for a wide range of industries, including education, business, engineering, and construction. We also offer services to individuals needing notarized translations of birth certificates, transcripts, and more. Our certified linguists are highly qualified both in translation and in their specific fields, many working in other industries, so they have first-hand experience with the information you need translated. Furthermore, our translations are specific to the culture of the target country of your assignment; were you to need a document translated into Spanish, for example, we would custom tailor your project to the specific Spanish-speaking country you are trying to reach, understanding that Mexican Spanish is different from, for instance, Puerto Rican Spanish. As a translation services agency, our top priority is customer satisfaction. Call us at 877.409.6737 or 720.325.0459 or visit translationexcellence.com for a free quote today. 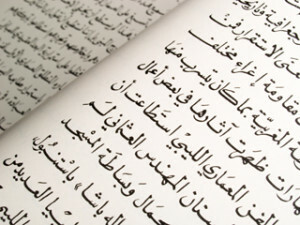 Spoken by people in the Middle East and North Africa, Arabic claims over one hundred and fifty million native speakers and is written from right to left. At Translation Excellence, we pride ourselves on having a passion for languages. Our highly qualified and experienced professional linguists translate in their native language in order to ensure the highest quality of translation, and provide translation and interpretation services between English and Arabic, or Arabic and other world languages. Our agency specializes in a variety of different fields, including medical, legal, engineering, construction, business contracts, tourism, education, employment, manufacturing, financial, and many more. Whether your Arabic translation project is large or small, Translation Excellence will provide you with professional native speakers to ensure top-quality results. Call us at 877.409.6737 or 720.325.0459, or click here for a free quote today.